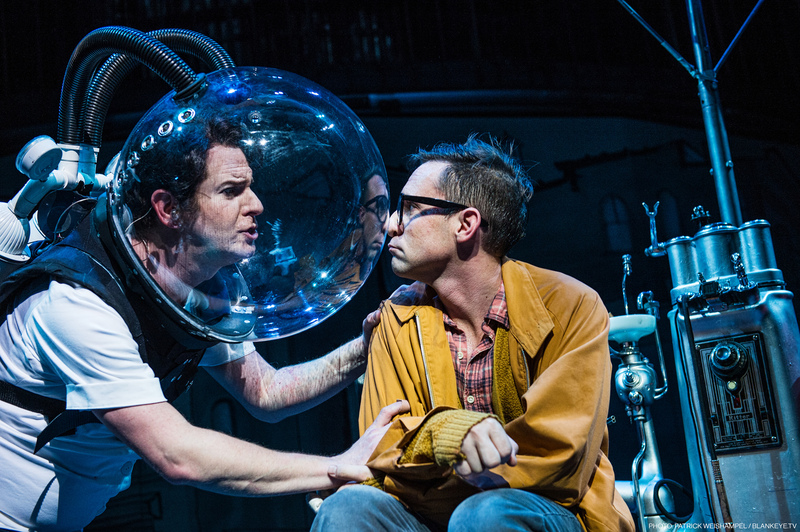 What to expect when you see a show at one of Portland’s best theaters, plus what I thought of Little Shop of Horrors. Oh man, it has been a crazy week. Last Friday and Saturday I spent the entire day at Feast Portland. I’ll have more about that in the next week, but first, I have something else to share. Believe it or not, between tastings, events and meals, I managed to sneak in a play at Portland Center Stage! They invited me to the opening night of Little Shop of Horrors and it was fantastic! 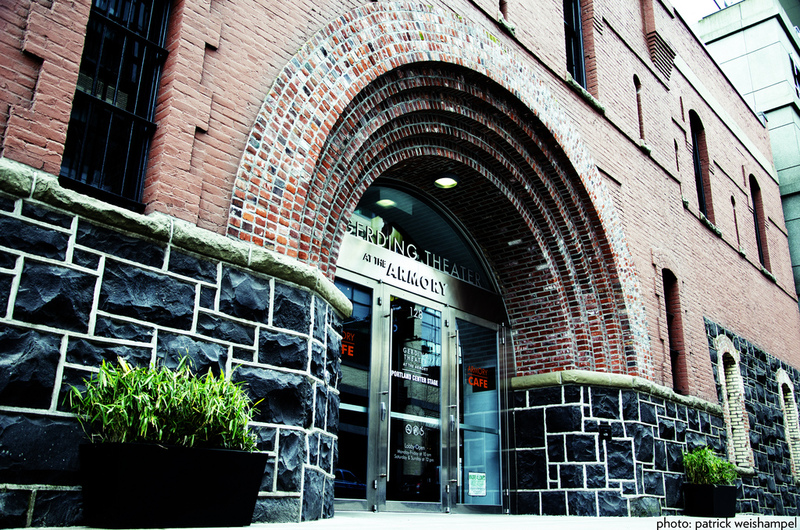 Photo Courtesy: Portland Center Stage Photo by Patrick Weishampel. This is far from my first show at PCS. Previously, I have been a season ticket holder (when I qualified for their awesome “Under 30” discount) and since then, I usually go to one or to shows each season. If you haven’t been, I highly recommend it. The productions are top notch. The theater is beautiful. And the Pearl District location makes it easy for dinner or drinks before and after (and for visiting tourists). 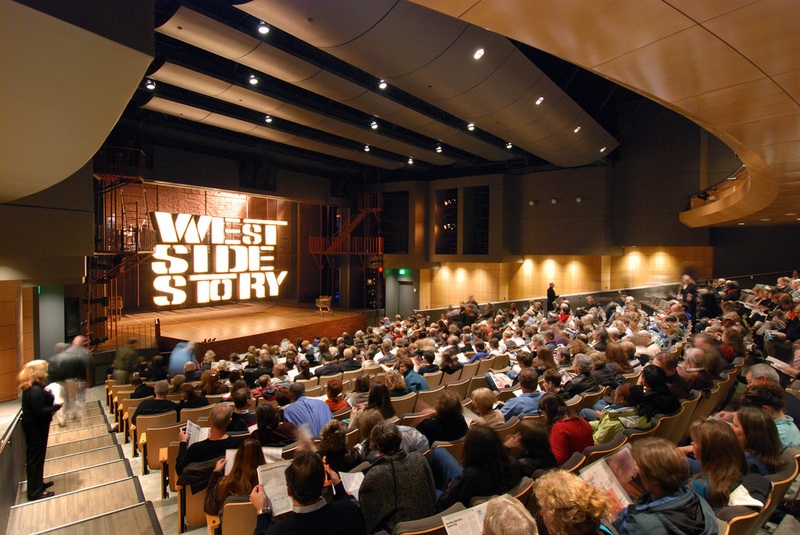 Photo Courtesy: Portland Center Stage, Photo by Patrick Weishampel. Before I go too far, let me just say that the PCS version of Little Shop was a blast. If you are familiar with the movie with Rick Moranis and Steve Martin, you will love this. 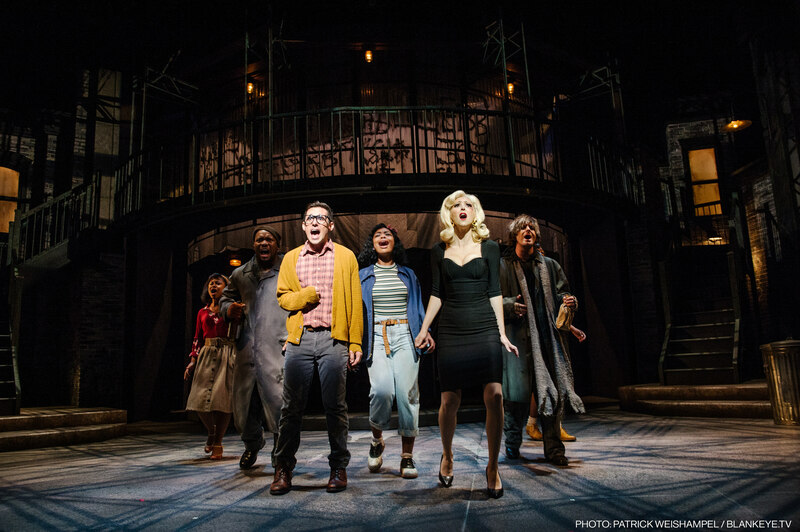 If not, Little Shop is about a man who finds fame and fortune thanks to his giant and very hungry plant. 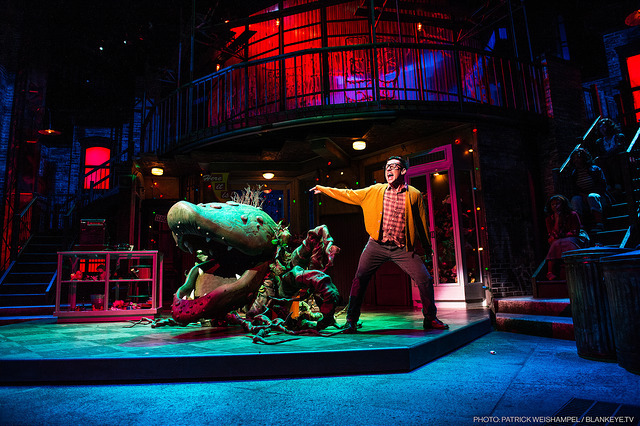 Portland Center Stage always impresses me with their sets and staging, and they did it again with Audrey II (the giant plant). While the story is incredibly entertaining, the music is even better! It’s a combination of Motown, Doo-Woop and Rock N’ Roll that really kept the energy up in the theater. Overall, this is just a fun show. It’s silly, energetic and hilarious. The really good news is that this show just began, plus it’s the first show of the season, so there is plenty of opportunities to see something. Also, keep in mind they have rush tickets for $20!!! A great option if you want to save some cash, or decide to go on the spur of the moment. Just show up at the theater half hour or so before the show begins. You can even see whether or not it’s sold out on the website so you know if you have a chance. There are still lots of tickets available for Little Shop of Horrors, or check out the rest of the shows coming up this season.